Sabeo has the highest levels of partner accreditation. Sabeo has partnered with leading IT vendors including EMC, HPE, Red Hat, Oracle, Symantec/Veritas, Microsoft, Nagios, Nutanix, NGINX and Veeam to provide best in breed IT solutions for your business requirements. We have an excellent track record of delivering joint projects with our partners, including software, servers, storage and services. Sabeo has been providing customers with EMC, EMC Data Domain and EMC NetWorker, formerly Legato solutions since 2000. Sabeo’s portfolio of Storage and Data Management services optimise how information is stored, protected, structured, retrieved and used to greatest effect and at optimal cost to your business. Sabeo has been a HP Enterprise partner since the company was founded in 2000. We have extensive experience designing, implementing and integrating end-to-end solutions based on HP’s technology. As a HPE ‘Preferred Gold Partner’ and as one of their largest Irish business partners we offer the complete range of HP servers, storage, software and services to help our customers gain commercial advantage through technology and deliver solutions that truly drive down costs. Sabeo Technologies holds the highest level of accreditations for HP Servers, Storage and backup software solutions. We have implemented solutions for many of the leading organisations in Ireland and we operate at the forefront of the market. Sabeo has been awarded HPE Services partner of the year on a number of occasions. Sabeo is a Microsoft Silver Certified Partner for Server and Virtualisation solutions. We have the knowledge, skills, and commitment to help implement technology solutions that match your exact business needs. We are uniquely positioned to support our customers in all levels of licensing compliance, management and reporting. This is a key skill set that we have invested in heavily over the last number of years and it allows us to validate and manage our customers licensing position ensuring at all times that they maintain their corporate compliance. Migrating web applications to the cloud provides the reliability and scalability that today’s applications demand. Whether you’re migrating your applications to the public cloud, private cloud, or hybrid cloud, NGINX Plus is the complete software-based application delivery solution that provides the control you need to manage and scale your web and mobile applications. Nutanix makes infrastructure invisible, elevating IT to focus on the applications and services that power their business. The Nutanix enterprise cloud platform delivers the agility, pay-as-you-grow economics and operational simplicity of the public cloud, without sacrificing the predictability, security and control of on-premises infrastructure. Nutanix solutions leverage web-scale engineering and consumer-grade design to natively converge compute, virtualization and storage into a resilient, software-defined solution that delivers any application at any scale. Sabeo is an accredited partner of Nutanix in Ireland. Sabeo is a key strategic partner of Oracle in Ireland and has a long history of supplying and supporting Oracle solutions into many organisations throughout the country. We have a strong Oracle technical capability in terms of depth and breadth. Our engineers are Oracle certified in Solaris, servers, Database Appliances, storage systems and software. We have access to the resources needed to simplify doing business with Oracle and provide a better service to our Oracle customers. Sabeo are the first Red Hat Premier Business Partner in Ireland with locally-based accredited engineers offering customised Linux services for on-site and remote support. Sabeo has been awarded Red Hat Infrastructure Partner of the Year on five occasions and was also awarded EMEA Datacentre Infrastructure Partner of the Year in 2015. Sabeo is one of the leading providers of open source solutions from concept and design through to implementation and support. Veeam Software develops innovative solutions for VMWare backup, Hyper-V backup and Virtualization management. Veeam Backup and Replication™ is the #1 VM Backup solution. Veeam ONE™ is a single solution for real-time monitoring, resource optimization and management reporting for VMWare and Hyper-V. Veeam Management Pack™ extend enterprise monitoring to VMWare through Microsoft System Center. Sabeo have extensive expertise within Storage and Data Management Services. 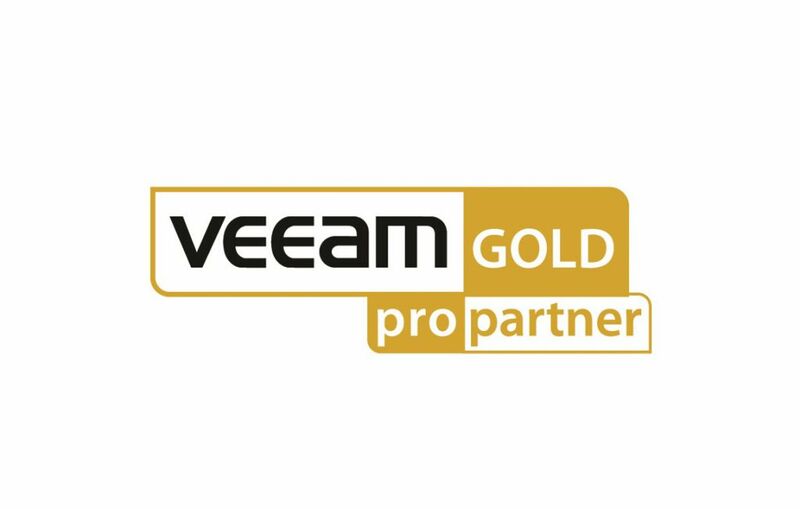 We have partnered with Veeam and together have provided a comprehensive range of solutions for our client’s needs. Sabeo is also a Hewlett Packard Enterprise Gold partner. Veeam® and Hewlett Packard Enterprise together have teamed up to offer unique capabilities by integrating features directly with HPE primary and secondary storage. The resulting convergence of Veeam Software with HPE 3PAR and StoreVirtual coupled with HPE StoreOnce provides the best data and application availability and monitoring. Sabeo is a Veritas Gold partner in Ireland. We specialise in the area of Data Protection with Netbackup. We also are Master Accredited partners for Storage Management, High Availability and Email archiving and e-Discovery. Sabeo has been nominated Veritas Partner of the Year, Ireland on four occasions. Sabeo is a VMware Enterprise Partner with a strong track record in delivering measurable return on investment in VMware solutions to organisations in the public and private sectors. Our team is certified to the highest technical standards with a core competency in enterprise storage solutions (ESS) and disaster recovery. We work with VMware products to help reduce our customer’s costs through more efficient use of their existing resources in all areas from desktop and server manageability to security and mobility. Combining our skills with the VMware product set, we have delivered innovative business solutions providing flexibility and competitiveness to our joint Clients.